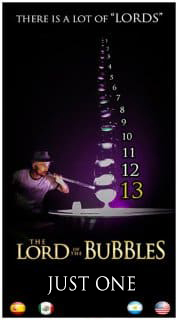 "The Lord Of The Bubbles" main show is NOT a regular bubble show similar to anothers that you could be enjoy before. 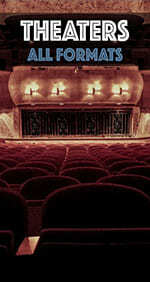 It has been presented accross the globe for the last 10 years in countries like Argentina, Chile, Mexico, USA, Spain, France, Finland, Estonia, Russia, South Korea, Aruba, Grenada, Bora-Bora, Emirates and many more theaters on earth, ice and sea. Main production, customizable from 50 to 90 mins., are FULL of ephemeral art performances focused to all audiences, without words, that hypnotizes the kids with extraordinary abilities and amazes the adults with a refined technique of the awarded bubble artist Javier Urbina, founder and main performer that fuses theater, science and circus; even enables space for comedy in a context where the suspense, intrigue and risk are clear protagonists, into a colorful, dynamic and magical unique bubble shows. Services availables: ALL kinds of solutions for bubble shows of any format ( S, M, L, XL, XXL ). Please, contact us for more info. 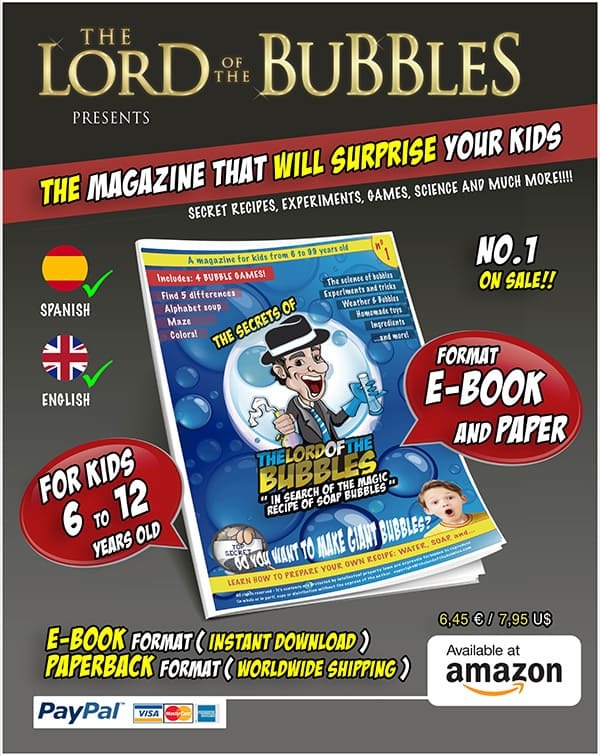 "The Lord of the Bubbles" loves to work for a 360º audience and for that he has created some special bubble acts to be represented in any circus tent (S, M, L, XL, XXL). 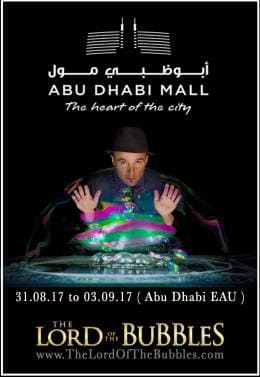 He has been presented as a bubble circus performer and has also been part of the cast, like a solo performer, in huge productions around the world. From 2017 till now Javier Urbina, "The Lord of the Bubbles" is in charge of creative art direction acting as Master of Ceremonies as well into a HUGE production called "ZYRKO" (2017-18). Also creative reprises and short acts are available for getting extra time for circus transitions, audience interaction, a touch of comedy and a long list of fully adapted amazing bubble acts. 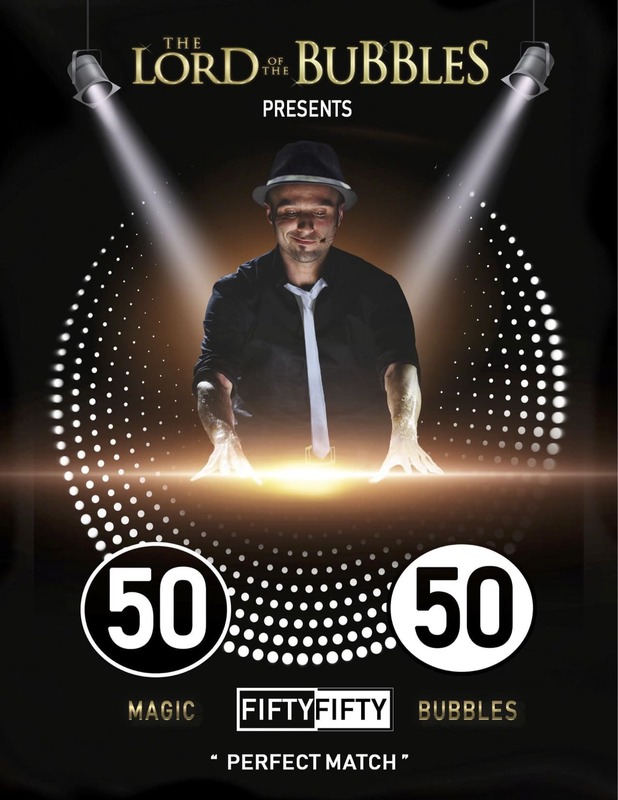 Services availables:TOP CLASS BUBBLE PERFORMER, CIRCUS MASTER OF CEREMONIES (english-spanish), CREATIVE DIRECTOR, BUBBLE ADVISOR and BUBBLE TRAINING. Please, contact us for more info. 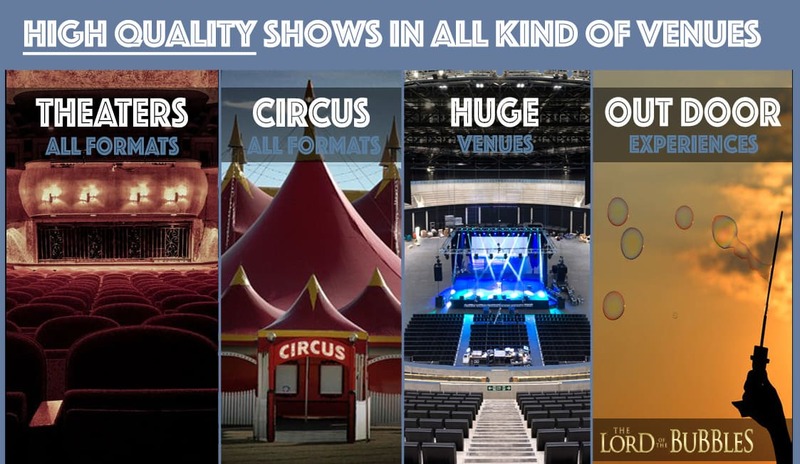 We have all technology need to run up mega bubble shows or even single bubble acts in huge venues. 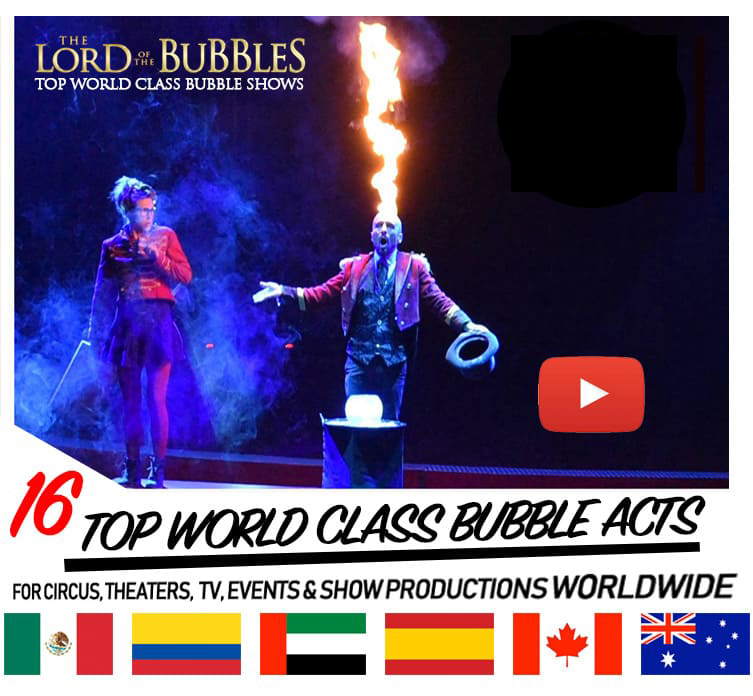 From humidifier device systems, bubble machines, ice dry and special effects to make a huge theatrical bubble show experience for all audiences. 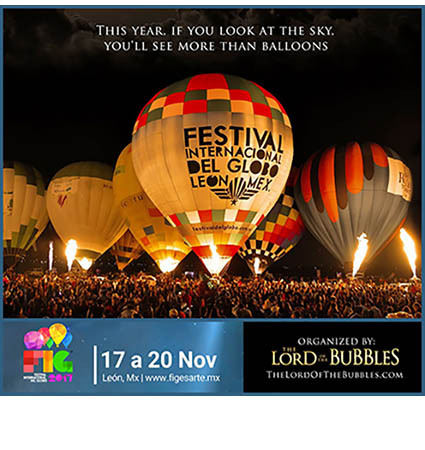 Services availables: ALL KIND OF BUBBLE PERFORMANCES, CREATIVE DIRECTOR, BUBBLE ADVISOR and BUBBLE TRAINING. Please, contact us for more info. Soap bubbles are NOT only for an in-door venues. 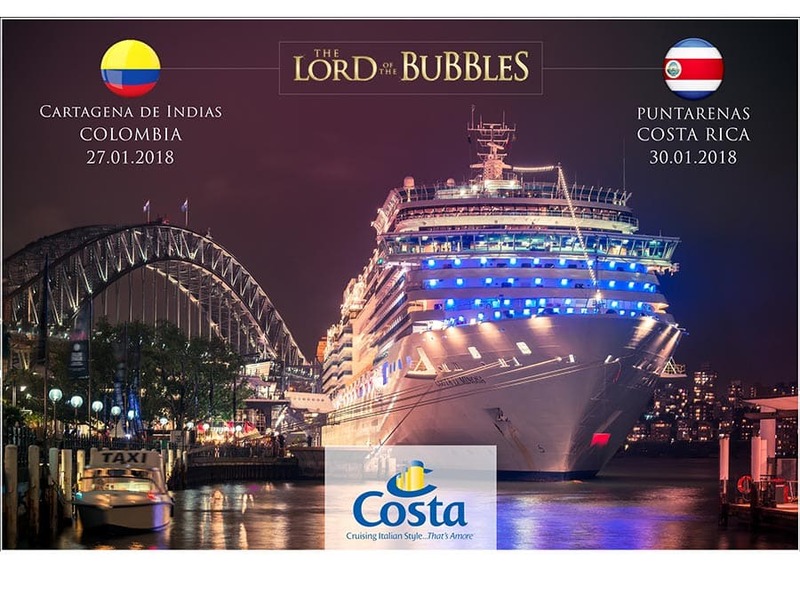 If you are looking to manage some out-door event and you want to add a BEATIFUL, AMAZING and PRETTY SOLID BIG BUBBLE EXHIBITION, even interactive, please contact us. Services availables: ALL KIND OF BUBBLE PERFORMANCES, CREATIVE DIRECTOR, BUBBLE ADVISOR and BUBBLE TRAINING.